Yoenis Cespedes didn't attend the Mets' voluntary workout Friday at Citi Field. Neither did David Wright, Daniel Murphy, Matt Harvey nor Noah Syndergaard, among others. Before you shoot the messenger, however, allow us to make a clarification first. That's a good thing. For the Mets' sake, that crew should have taken a spa day or spent the afternoon on the couch, catching up on "Homeland." And though no one's saying Cespedes injured his left shoulder with that pregame golf round in Chicago, it probably would be best if he stayed off the links until the World Series is over. We know the evidence overwhelmingly suggests that a five-or-more-day recess after the LCS does not bode well for continued success in the Fall Classic. Of the last six teams to earn such a break, only the 2008 Phillies went on to become champions. Also, since MLB went to a best-of-seven LCS format in 1985, the Mets are the eighth team to sweep. Of the previous seven, the 1995 Braves stand alone in taking the title. For those worried about history repeating itself, and counting the Mets out before the first pitch is thrown, here's something more important to consider: A number of their players, including a gassed rotation, could use a breather. At the top of that list is Cespedes, who abruptly was pulled from Wednesday night's NLCS Game 4 clincher in the second inning because of a sore left shoulder. The Mets didn't really need Cespedes after taking a quick 6-0 lead in what became an 8-3 victory, but his shoulder was hurting to the point that he couldn't swing a bat, and he required a cortisone injection Thursday after the team returned to New York. An important note about anti-inflammatory shots: They require at least 24 hours to kick in, and the player isn't very effective until that happens. So you can see how the bigger window gives the Mets some wiggle room to get Cespedes right. "The doctors looked at it and said he'd be OK," Terry Collins said at the end of Friday's workout. "We'll see tomorrow." Collins won't need an MRI machine to make his own diagnosis. 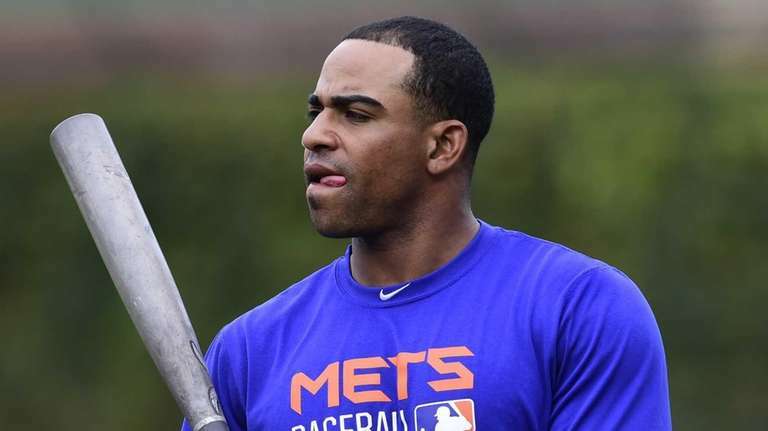 As long as Cespedes' power stroke returns during BP -- or his swing appears fine inside the clubhouse cage -- the manager won't lose any sleep over it. Because Game 1 isn't until Tuesday night, the Mets don't have to get freaked out yet. Wright isn't complaining about the inactivity, either. Don't forget, he needs hours of daily maintenance to combat the spinal stenosis affecting his lower back, and in the Division Series, Wright had to endure two round trips to Los Angeles in the same week. The Mets were diligent during the regular season about giving Wright a day off every two or three games, and that kept him in great condition for the playoffs. Now, with the schedule squeezed more tightly and the intensity turned up, there's no time for recovery -- unless a team creates some, as the Mets did in sweeping the Cubs. "Our guys are beat up a little bit," Collins said. "I still think it's going to help our pitching." The rotation, which has performed the bulk of the grunt work in getting the Mets this far, will benefit from the time off most of all. Perhaps the most noticeable slippage, however slight, has come with Jacob deGrom, something that Collins acknowledged Friday. After deGrom threw 121 pitches to outduel Clayton Kershaw in the Oct. 9 NLDS opener -- striking out 13 in seven innings -- he had to gut his way through the next two starts. Along the way, his max fastball velocity has dipped from 98.5 mph to 96.7 mph, with the average sliding from 96.6 to 95.4, according to BrooksBaseball.net. Though that's still blazing, deGrom has reached 211 innings for the season, 33 above last year, with plenty more work to do. Those numbers would be a contributing factor if the Mets choose to start Game 1 with Matt Harvey, who sounded thrilled that he didn't have to go in NLCS Game 5, just so he could save some bullets. That's a bonus at this time of year, and every little bit helps. Especially as the Mets look to make history, not repeat it.